This is a sidetrack to the five-part (now a six-part) series on Indian Peacekeeping Mission in Sri Lanka. Consider it Part 2.5. Although not technically set in Sri Lanka, it is nevertheless an important and interesting part of the story. You can read the previous parts of the series here: Part 1, Part 2, Part 3. They had been at the sea for three days now. Sri Lanka, where they had spent most of their lives fighting a war for the cause of Tamil liberation, was hundreds of miles away. India, where they had been secretly trained in the trade craft of warfare years ago, lay even further off. They were eighty in number, huddled in four stolen fishing boats. They were armed to the teeth with AK-47s, grenades, heavy machine guns and mortars, but had run out of food and water. Hungry and thirsty, they had been searching for land for hours. They finally saw it at 11 am on the night of 2 November 1988, a tiny red light on one of the buildings off the coast. The leader, a young guerrilla nicknamed Vasanthi, ordered his men to check their arms and ammunition, as they approached their destination. They were here to invade Maldives. At first, the invasion went without a hitch. 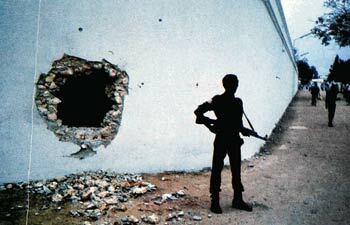 The Tamil militants landed in Male, capital of Maldives, at 4 am on 3 November 1988. Maldives didn’t have an army, only a 1400-strong National Security Service that served as police, fire fighting service and military, all rolled into one. The first task for the invaders was to neutralise it. After a half-an-hour fire fight, they had taken over the NSS complex, killing a few NSS guards but losing Vasanthi. Next they took the harbour, the power grid, and TV and radio station. By noon, they were in control of Male and in effect the entire Maldives. Only the Maldivian president Maumoon Gayoom eluded capture, but all in all, the operation had gone without much trouble. The 30,000 or so bewildered Male residents could only watch as lungi-clad Tamil militant looted their shops for food and booty. However, the success was short-lived. In afternoon they heard BBC radio announce that help for Maldives was on its way. 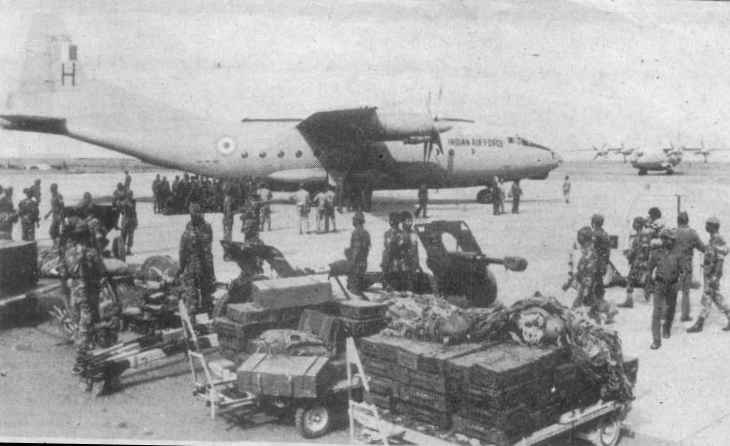 The radio was reporting a military contingent of hundreds of commandos flying in to liberate the country. In the evening, the militants heard a fighter jet zoom over their heads. This was more than they had bargained for. Leaderless, the militants began to panic. Indian forces were coming for them. Maldives is one of the smallest and poorest countries in the world, consisting of about 12,000 islands. Located in the middle of nowhere in the deep south of Indian Ocean, the country had never held much meaning for the world, especially geo-strategically. One of the islands had once been used as an airbase by Britain, but they had left it in 1976, removing a major source of political stability and revenue for the country. From then on, in financial dire straits, democracy in Maldives was constantly under siege, witnessing a couple of attempted coups in early 1980s. The latest and most serious attempt of coup was hatched in Sri Lanka by a Maldivian businessman named Abdullah Luthufi and a Tamil insurgent leader named Uma Maheshwaran. It is not clear what Luthufi’s motivation was – whether he wanted to become the dictator himself or bring the former Maldivian president Ibrahim Nasir back to power. Maheshwaran, on the other hand, was looking for a base. He was the leader of a Tamil insurgent group called People Liberation Organisation of Tamil Eelam (PLOTE). Although one of the five big insurgent groups in Sri Lanka, PLOTE had recently fallen on hard times. Since the breakdown of the Accord last year, LTTE had been waging a war against the Indian Peacekeeping Force. At the same time, they had begun to get rid of the competition by targeting other Tamil insurgent groups. This had made these groups run to IPKF for support and protection. Unfortunately for PLOTE, it was not one of IPKF’s favourites. Indians, suspecting PLOTE of links with anti-Indian Sinhalese factions, had been promoting another of its rival – EPRLF. Therefore, hemmed from both sides, Maheshwaran was desperate for a winning advantage. A base in Maldives, away from Indians, Sri Lankan military and LTTE offered just that. And so, on 30 October 1988, Maheshwaran dispatched Vasanthi with eighty men and Luthufi to invade the island nation. The plan was simple and not as half-baked as it was later made out to be. The only two fatal mistakes that the militants made on the day of invasion were that they couldn’t capture president Gayoom and they didn’t disable all the international telephone lines. Within an hour of the invasion, the president was on the phone calling various countries for help. His calls to Washington and London got him sympathy but not much more. However, the call to New Delhi proved to be a fateful one. Prime Minister Rajiv Gandhi was woken up with the news of the coup at 5:30 in the morning. Within minutes, Indian establishment was being roused from its sleep. At nine in the morning, the Prime Minister held a high-level meeting and by noon the decision was made to intervene. The mission was dubbed Operation Cactus. Within hours, a para brigade of 1600 Indian Army commandos took off from Agra in massive IL-76 aircraft, along with jeeps, light field guns and helicopters. As much as it was an intervention, it was also a show, for the militants and the world, to display Indian military power. And it worked. 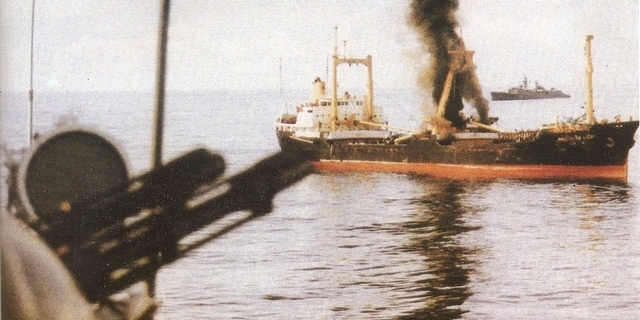 By the time, the Indian troops landed, the militants had already run off, hijacking a ship called Progress Light and taking hostages from Maldives. They headed for Sri Lanka, although Maheshwaran did explore from backchannels if the militants could be given refuge in Tamil Nadu. Indians laughed him out of the room. Meanwhile, the Indian Navy began the hunt for Progress Light. The Sri Lankan Navy had declared that if the ship entered their territorial waters, they had orders to destroy it. So the Indian navy had to find it quickly. At the dawn of 5 November, Indian ships had found and surrounded it, but the militants refused to give up, creating a hostage stand-off in the international waters. This went on for a day, with the ships still continuing to move towards Sri Lanka. Prime Minister Gandhi, who had been monitoring the situation from the Indian Navy operations room, eventually ran out of patience. A message was sent to the Indian commander – “Stop Progress Light”. The commander, while engaging the Tamil insurgents in negotiations, began demonstration fire around the ship. A navy helicopter dropped a depth charge, shutting down the ship’s engines. Navy commandoes quickly boarded it and within minutes it was all over. The coup had been averted. Within 36 hours, President Gayoom was back in power, while the militants were brought back to Maldives for trial. Soon thereafter, the entire affair was forgotten, just a minor episode with no major consequences. However, what has to be realised is that Luthfi and Maheshwaran’s plan could have very well succeeded, had they not had the misfortune of carrying it out during the premiership of Rajiv Gandhi. As we have seen, the Tamil militants had been able to take control of Male rather easily. As for the rest of the world, frankly, no one cared. Even for India, there was no vested interest to protect in Maldives. This fact was evidenced in the 2012 coup in Maldives when India and the US idly stood by and let the events unfold on their own. Then, why did Gandhi decide to intervene? The intervention had little to do with Maldives, and a lot with the larger foreign policy that Gandhi was building. After Jawaharlal Nehru’s death, India had little interest in playing the role of leader of any kind. Indira Gandhi, worried about Pakistan, China and the Cold War, had little interest in getting embroiled in the squabbles of smaller countries in South Asia and Southeast Asia. Rajiv Gandhi had a different idea. He wanted to project India as a leader of South Asia. This contrast is evident in something we have already seen in their policies towards the Sri Lankan civil war. Mrs. Gandhi opted for arming the Tamil insurgents, a knee-jerk reaction of a bigger neighbour which had other things to worry about. Rajiv Gandhi chose to broker a deal, an act of a regional leader. The intervention in Maldives was a perfect opportunity for Gandhi to send a message, not to Maldivians or to the Tamil insurgents, but to other South Asian countries. It was that India was ready to step in, if necessary with its military, to stop any development in the region that didn’t meet its approval. From now on, India had to be taken into account in all major decisions being contemplated by leaders of smaller South Asian countries. 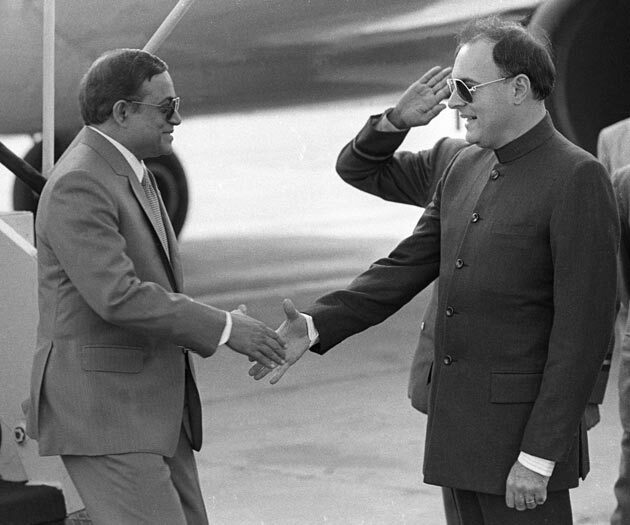 For better or for worse, after the assassination of Rajiv Gandhi and IPKF’s failure in Sri Lanka, India once again lost interest in South Asia. For most part, this disinterest continues to this day. In the next post, we will swing back to Sri Lanka and watch as LTTE wages war against IPKF. This entry was posted in India's Wars, Peacekeeping in Sri Lanka, Rajiv Gandhi and tagged 1988, coup, gayoom, luthufi, maldives, operation cactus, plote, uma maheshwaran. Bookmark the permalink. hey we are still alive, we better know what happened on that day..”after a half-an-hour fire fight, they had taken over the NSS complex, killing a few NSS guards but losing Vasanthi.” They never took over NSS, Maldivian “heroes” defended NSS not a single tamil could enter. that was the only reason of failure.. As their leaders were killed in the first attempt they lost command and panicked hearing about Indian troops. Hence they decided to leave, they could not enter NSS and took over the weapons, they had nothing to fight back. Indian Army landed at 9:30pm and came to Male’ only in midnight.. they did nothing on Male’, just patrolled roads and enjoyed hospitality of Maldivians. Indian navy took over the vessel and brought them to Male’ . Please research well before publishing, such information would be misleading. It is strange you start this new chapter all of a sudden. specially when you say , “they had been at sea… ” i start looking for who are “they” here and go back to part 2 for establishing a connection. I think it would be better if you wrote an epilogue to it first in few lines explaining the nitty gritty.